Every day thousands of people search Google for a top websites or company who can do SEO for their company or business. But do you know what is the most important thing while hiring an agency for SEO? The answer is cost. Yes, you heard it right, cost is the most necessary thing when you are searching for a company to do the SEO as, you always need it to be done within your budget. But you have to understand that there are various aspects which can determine the cost of SEO. Sometimes it depends on your goal too. If you want to be on top instantly, it is evident that you have to pay more. A bigger budget will fetch you a large and competitive audience. For continuous growth, the effort which you are going to put in SEO needs to be continuous too. The algorithms are ever-changing and so is the planning. While you hire a company to do the SEO, they will perform the following actions. The prices may vary as sometime you pay hourly rates but most of the time, the SEO is done in a complete package. We have to keep in mind both the factors. • Hourly Rates: While dividing the complete task into several sections, if you find that there are sections which needs to be unchanged and a few sections which need improvement, you can certainly opt for the hourly rates. You can inform the SEO consultant about the hours you need for completion of the task. To get the full value of money, check the work personally. • Fixed Package Rates: Usually most of the agencies work using this system. You have to describe the details of the SEO campaign to the agency. They will hear you out. They may input some ideas for the betterment of the project but the implantation of the ideas is up to you. But before hiring, don’t forget to check the reviews and the market reputation strong the agency. INR 250 per hour is an average rate used by most of the SEO agencies. But the rate can vary, it fluctuates between INR500 to INR800 per hour. The rate depends a lot on the reputation of a company and the expertise of their professionals. A complete package can cost you from INR30,000 to 50,000, depending upon the research and work which is required to be done. If you plan properly and think about the returns you are going to get with them, SEO services are not that costly at all. Just the planning needs to be done perfectly according to your budget as the money you are spending is an investment and a proper businessman always checks for good returns against any investment. 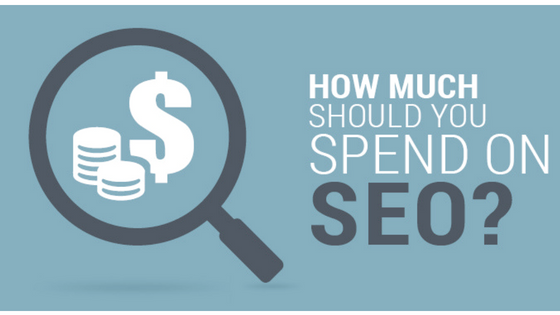 Still having doubts about SEO cost? No problem connect with us on info@valuedigital.co.in and get a free consultation from us for your requirement & start your SEO campaign with clear mind.